This lovely lady is Sheri T. She has been a friend of Best Friends Animal Health Center for many years now. We have been through many “adventures” together over this time including everything from torn toe nails, imbedded grass seeds to knee surgery to hypothyroid disease. 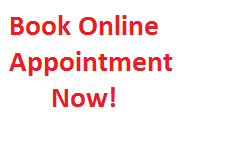 Sheri is a diva and will find any excuse to come see us if she feels it has been too long since her last visit! One of Sheri’s biggest adventures started in March of 2012 when she was diagnosed with diabetes. This was a very difficult time for Sheri, her Mom, and her Best Friends family. Treatment of diabetes involves insulin injections twice daily and diet/lifestyle changes. Divas don’t like change, but Sheri did finally adjust to her new life. Sheri had done well after she got into her new routine until the spring of 2013. Sheri’s diabetes had caused her to go blind due to cataracts. This happens to most diabetic dogs within a few weeks to months of being diagnosed. Dogs usually adjust to this change very quickly and easily. They manage to get around in their home environment very efficiently using their other senses. However, this was not the case for Sheri. Divas need to be able to see! We all watched Sheri for a few weeks. It was very obvious that this girl was not adjusting well to her blindness. Sheri went to Colorado State University for a referral for cataract surgery. This would allow Sheri to see again. They did not feel that she was a great candidate for surgery due to a transient heart murmur so we continued to watch her. Sheri was just not adjusting! We decided to send Sheri to Dr. Roberts from Animal Eye Center in Loveland, CO for a second opinion. Dr. Roberts comes to Casper every few months so Sheri and her Mom were not out much to give it a try. Dr. Roberts reviewed Sheri’s charts and examined both her and her eyes. He was comfortable proceeding with surgery! Sheri had her surgery in November. Dr. Roberts placed an artificial lens in each of her eyes. She has been on multiple eye medications and has had many rechecks since then. We are all thrilled with how she is doing! 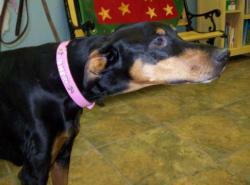 Our favorite diva Doberman is back to bounding into the clinic with a smile on her face! We are so glad Sheri can see her way into 2014!